By the time your son or daughter leaves school, the world will be a very different place to the one it is now. The skills and attributes that a young person needs to be successful within a global-based economy are not measured merely by grades, but by the ability to think and respond to change. 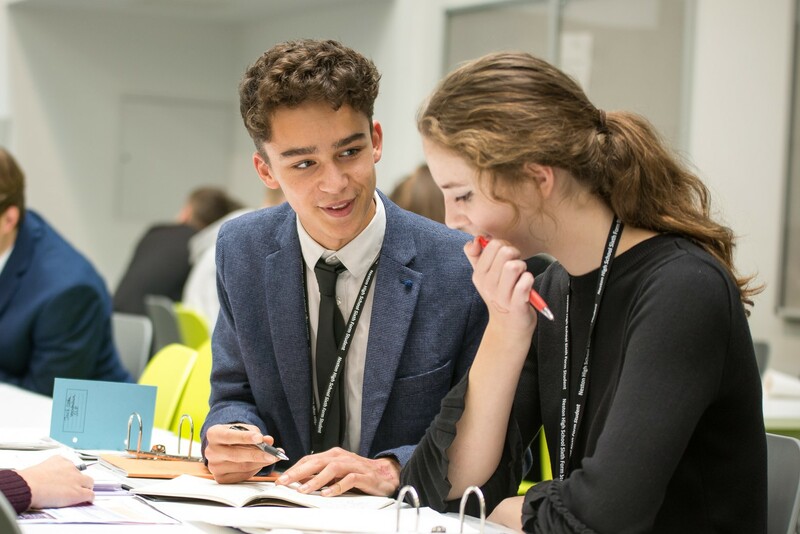 At Neston High School, we aim to develop 21st century learners – creative, collaborative problem solvers who communicate well and are highly literate. We are extremely proud to have been recently awarded a Gold Award for our Programme of ‘Learning Outside the Classroom’. Our vast range of extra-curricular activities (eXL) develop students’ individual aptitudes and collaborative skills, while a wide range of educational trips broaden their understanding of the world. From oil painting to ‘curry club’ – from eco-group, to go-cart building and ‘Titanic Club’, samba band and the weekly film club. Neston has a strong sporting tradition and continues to achieve an enviable record of success, in a wide variety of sports at both team and individual level. Our outstanding sport facilities mean that your son or daughter can really excel in their chosen sport, from tennis to rock climbing, swimming to javelin, our highly skilled team of dedicated staff will help your son or daughter find their niche. This September, the staff and students of Neston High School are delighted to have moved into the multi-million pound new school facility. Thanks to an award of £2000 from ‘Tesco Bags of help’ we now have a gardening area in the grounds of the new school build. At Neston High School, we pride ourselves on having a strong family ethos, where your son or daughter will encounter stimulating and intellectual challenges, whilst receiving the very best care and guidance. This ensures all of our students are successful in a happy, enriched environment, where they learn to the best of their ability; where we focus solely on their individual needs; building confidence, self-esteem and preparing them for their future careers. At Neston High School we strive to achieve the best in everything we do across the curriculum, within a happy and purposeful community. All students are offered a broad base of subjects, from the traditional to the contemporary. 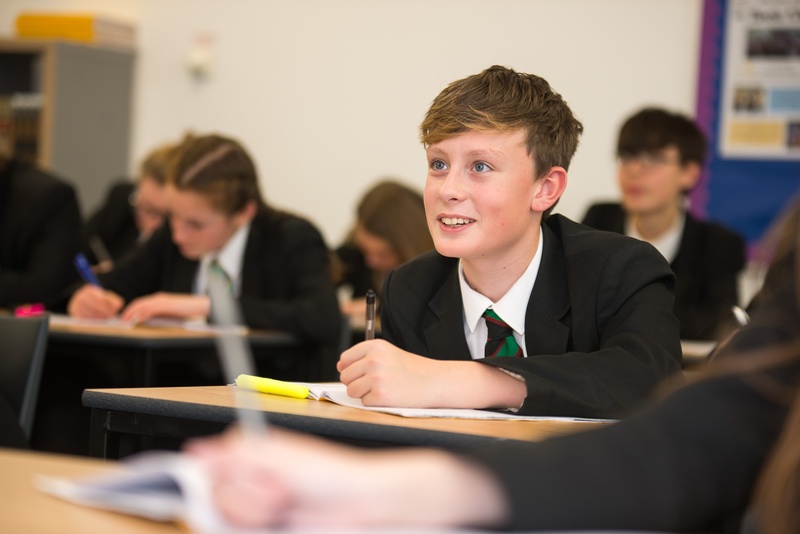 We constantly review and question our provision to ensure that it meets the needs of our students: flexible smaller classes and inspirational teaching maximise our success – enabling our students to make exceptional progress as they move through the years and into our Sixth Form. Neston High School has a reputation for success and we are proud to see our students leave as confident young adults, who combine integrity with maturity and ambition. We place great emphasis on strong subject teaching and warm, professional relationships between staff and students, and this is reflected in our excellent academic record at both GCSE and A Level. The sense of community at Neston High School is undeniable. The students are on an important journey, but are also learning that strong relationships form the foundation of our warm, successful community. All of our students understand they are individuals and that they truly belong to a special community here at Neston High School. ''We could not be happier with the education our daughter has received at Neston High School. She is fully supported and encouraged to achieve her potential and there is certainly never a dull moment for her with the extensive extra-curricular programme on offer'' Yr 11 parent. Neston High School’s thriving sixth form is an inspiring and friendly environment, in which our young students can extend their academic knowledge and develop the skills required for university, employment and beyond.